Shelley Shaw (’96) has seen first-hand the struggle families endure when their loved one is battling cancer. 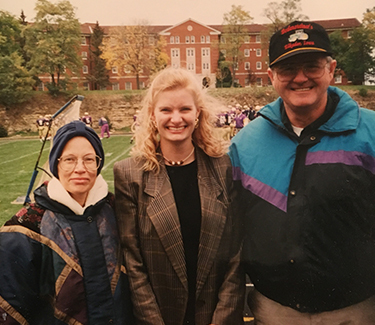 Shelley Shaw (’96) with her parents on the Loras Campus shortly before her mother passed away in 1996. Just prior to her graduation from Loras, Shelley lost her mother, Karen, to breast cancer. Despite clinical trials available across the country that her mother could take advantage of to continue her fight, the family was unaware of these options and her mother passed away without exploring other avenues outside of chemotherapy and radiation. Nearly two decades later, cancer struck again when her oldest sister Sherry was diagnosed with multiple myeloma. Shelley and her other sister Christi both work for pharmaceutical companies and had the institutional knowledge which enabled them to become strong caregivers and advocates for their sister Sherry. With their help, Sherry was able to travel to multiple states and access new treatment solutions available to extend the quality and quantity of her life. Both experiences led to the establishment of the More Moments More Memories Foundation. In the case of their Mom, it was clear that lack of awareness was an issue that prevented patients from entering clinical trials. With Sherry, the sisters quickly recognized that few trial participants were from out of town and the reason was due to lack of financial means.  Many patients cannot afford the travel, meals and lodging in order to join trials. As a result, the sisters co-founded the More Moments More Memories Foundation with the belief that everyone should have the same ability to access clinical trial treatments regardless of economic status. The More Moments More Memories Foundation seeks to remove financial barriers that might keep cancer patients from receiving treatments and help improve their quality of life. By doing so, they can help provide more time with their loved ones, creating more precious moments and lasting memories. In September 2016, Sherry walked her sister Shelley down the aisle for her wedding at St. Joseph Chapel at Loras. Without access to innovative treatments, this would not have been a reality. Sadly, Sherry passed in May 2018, and her memory will live on through the foundation, which she inspired. More Moments More Memories offers grants to patients and caregivers, as well as information to help them navigate the process. 100% outside donations go directly to patients in need. Grant applicants can request financial support for cancer patients and their caregivers to access treatment innovations, including travel to participate in clinical trials. The financial assistance supports expenses such as travel, lodging and food. Clinical trials not only give you time with loved ones, but it also gives hope when needed most. To learn more about the More Moments More Memories Foundation, or to donate, visit www.MoreMomentsMoreMemories.org.